ProSource® of San Luis Obispo assists trade pros and homeowner clients to find the right kitchen products for their remodel project. The kitchen is a focal point of any home, and it can be tricky to design because there are so many different features to keep in mind. 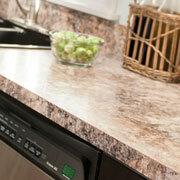 You want a kitchen to look beautiful and clean, just as you want the cabinets to be functional and space-maximizing. The products we feature at ProSource of San Luis Obispo can help you to transform your kitchen and stay within your budget. 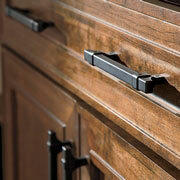 We have kitchen cabinets from all different color families, wood types, and shapes. 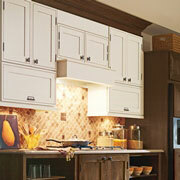 With top brands like Dynasty and Kemper, our catalog has an incredible selection of high-quality wholesale kitchen cabinets. At ProSource of San Luis Obispo, you can choose cabinet hardware from all different color families, types, lengths, and widths. We have products from Amerock, Atlas, and Top Knobs, so you can be sure you are getting a quality product at a low wholesale price. Kitchen designs range from modern to classic country farmhouse and everything in-between, and we feature the countertop selection to match this diversity. Whether you are in the market for granite, quartz, or a blended raw material, ProSource of San Luis Obispo has the material you want for your countertop. The kitchen sink adds both form and function to a kitchen, so it is an important product to consider in your kitchen remodel. ProSource of San Luis Obispo has apron-front, standard, and trough sinks with many choices for material, faucet configuration, and more! 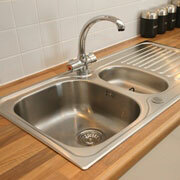 You can match your kitchen sink and general kitchen design with our range of kitchen faucets. 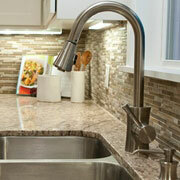 We have faucet types ranging from beverage to standard in different color family options.